Square Enix continues to further their global agenda today as they announce an agreement with Ubisoft to distribute the French publisher's titles throughout Japan. The agreement with Ubisoft marks Square Enix's second deal to bring western titles to Japan, having recently agreed to publish the WiiWare title LostWinds from the UK's Frontier Developments in the country. “The global video game market is expected to maintain sustainable growth thanks to geographical expansion and diversification of customer base," said Yoichi Wada, president and representative director of Square Enix. "By partnering with the UBISOFT Group having a number of highly acclaimed titles, we can now work to provide high-quality overseas-produced games to Japan, thus invigorating the Japanese game market while strengthening our presence as a global leader in the video game industry." Earlier in 2008 Square Enix began publishing third party titles in European regions, and they recently signed a deal with Dungeon Siege developer Gas Powered Games to publish Supreme Commander 2 in North America. Details on which Ubisoft titles they will be bringing to Japan will be announced at a later date. 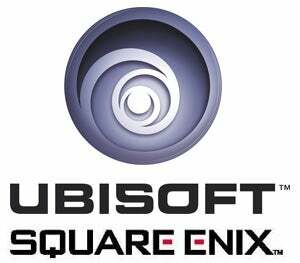 Tokyo, Japan, (Jan. 8, 2009) – Square Enix Co., Ltd. (Square Enix) today announced that Square Enix and Ubisoft Japan entered into an exclusive distribution agreement under which Square Enix is entitled to distribute UBISOFT Group games exclusively in Japan starting April 2009. In the increasingly consolidated video game industry, Square Enix has been implementing strategic initiatives to expand its product lineup and strengthen its presence as a global game publisher. In 2008, the company began publishing third-party titles in PAL territories, and in December 2008, published its first overseas-produced game in Japan with the launch of UK-based Frontier Developments Ltd’s LostWindsTM for WiiWare™. This exclusive distribution agreement for UBISOFT Group games will be another key step to achieve the aforementioned goal. Details on games to be released will be available at a later time.